This is it, the final pair of socks of the Sock League Table. If you don’t know what the SLT is, this is our way of determining at the end of the sock buying year, which city / town / district should get it’s own pair of socks based purely off postcodes and how many socks people buy in the said postcode. Last year Aberdeen won and are looking on course to make it two years from two. However, upstarts Manchester are close on their tails. Anyway, back to socks, this year we released the Dougal sock that was a bit of a cult classic due to it’s bouncyness and the fact that it made from wool terry. Think of your favourite loopback sweatshirt and imagine it made from wool and on your feet. 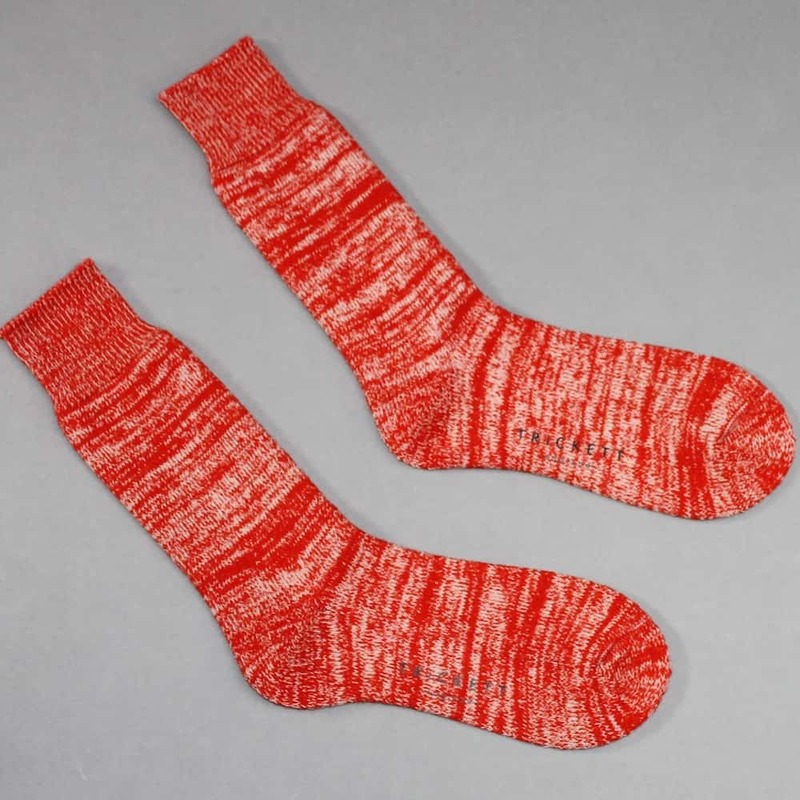 That would have to be a pretty active imagination that you have… In a distintive marled red, these are sure to be the centre piece of your Winter sock wearing life. So remember, if you get a pair, you can feel warm and potentially help your area get a pair of socks designed for them. Very noble.